Offering a condensing output of 158kW, Evomax 150 is amongst the most powerful wall hung boilers available today. It succeeds in combining this power with an impressive seasonal efficiency of 96.7% and a low NOx measurement of just 38.1 mg/kWh, offering installers and specifiers a boiler that delivers on a number of fronts, including already being compliant with Ecodesign (ErP) 2018. If more power is required, up to four Evomax 150s can be installed in a cascade (632kW condensing). Larger, bespoke cascade systems are available upon request. 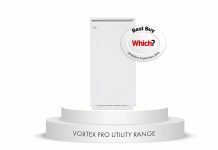 For added peace of mind, and proof of its reliability, Evomax 150 comes with a five-year warranty as standard*, something not matched in the high output, wall-hung boiler market. However, what really sets Evomax 150 apart from its competitors is its compact size. 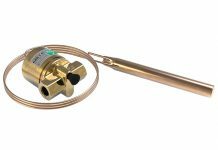 No other wall-hung boiler offering this level of output takes up so little space; its overall volume is a mere 0.26m3, meaning it can be installed in the smallest of plant rooms. As well as taking up minimal space, Evomax 150 weighs less than 90kg. This can make a real difference when installing, especially when other high output wall-hung boilers can weigh up to 39% more. A key factor in its lightness is the robust and light aluminium silicon alloy heat exchanger. Being part of the wider Evomax range means Evomax 150 comes with a variety of installation, flue and control options. It also shares the family look of Evomax, where all output models share the same height and width measurement, allowing for consistency when a cascade of mixed output is put together. The Evomax range is built in Britain by Ideal Commercial at its facility in Hull as well as being designed there. 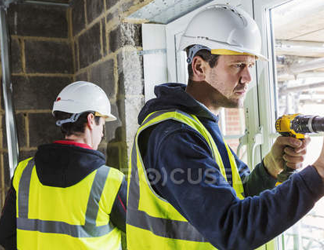 From its inception, Evomax has been able to cope with the unique challenges faced by UK and Irish heating systems, demonstrated by its continued popularity – Evomax accounts for one-in-five of all commercial wall hung boilers sold in the UK. 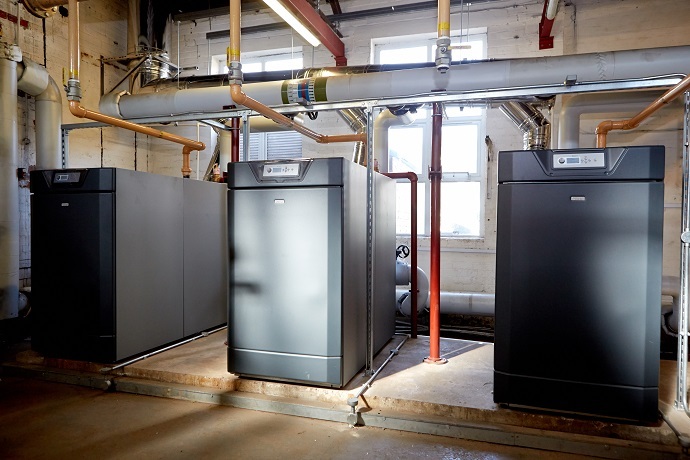 Also on the commercial front, the new Imax Xtra EL range from Ideal Boilers is already proving itself, with a retrofit installation for a school showcasing the range’s credentials. Ideal Commercial Boilers provided three 470kW floor standing condensing boilers from the brand new Imax Xtra EL range to Bricknell Primary School in Hull, which are now delivering low cost, high efficiency heating. old. Not only were the old boilers having to be run at full capacity throughout term time to meet the school’s heat demand, leading to high energy use and running costs, they had also begun to fail and required continual maintenance. The decision was made to upgrade the appliances with a far more reliable, low cost solution and the Imax Xtra EL boilers were delivered directly from the Ideal Commercial Boilers manufacturing facility, located under a mile from the school. The Imax Xtra EL floor-standing condensing boiler range features a single heat exchanger and has been specially designed for commercial applications that require larger outputs in a compact package. Available in 10 outputs from 320kW to 1240kW, all Imax Xtra models offer very low NOx Class 6 performance for maximum points on the BREEAM scale and extremely high efficiencies up to 109.8% part load at 30% output. 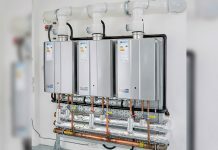 This means that the 320kW and 396kW models are fully compliant with the Energy-related Product (ErP) Directive’s high efficiency requirements, which is applicable to boilers up to 400kW, whilst the models above are compliant with Building Regulations Part L2. Straightforward integration with 0-10v BMS systems is easy; together with volt-free contacts and alarm signals, there is a range of additional kits available for added control, including a modulating sequencer, plant room sensor, outside sensor and optional gateway adaptors to MODBUS, LONWORKS or BACNET. * Evomax five-year warranty subject to terms and conditions. Five-year parts and labour warranty available subject to being commissioned by Ideal Boilers.